Chief Isaac Inc. | Chief Isaac Inc.
See the regional-specific solutions our companies provide to industries in the North. Read about the partnerships that bring valued diversification and additional stability. We value the opportunity to discuss new possibilities and mutually beneficial partnerships. 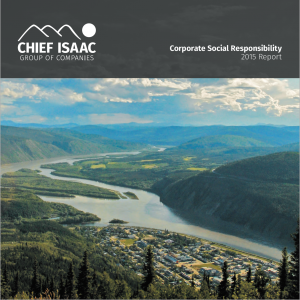 Read our Corporate Social Responsibility Report below.